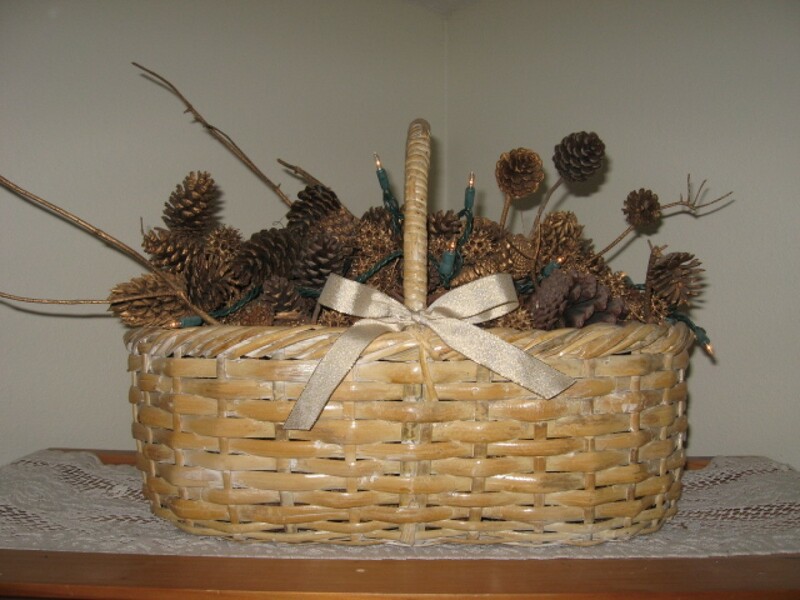 All you need for your lighted holiday basket (that can be used year round) is a nice large basket, a 50 light strand of Christmas tree lights, plenty of assorted sizes of pine cones, (leave some connected to their twigs), sweet gum balls, magnolia pods, etc. It can contain whatever else you would like to have in it, and a pretty bow, that you can change out for different seasons and holidays. 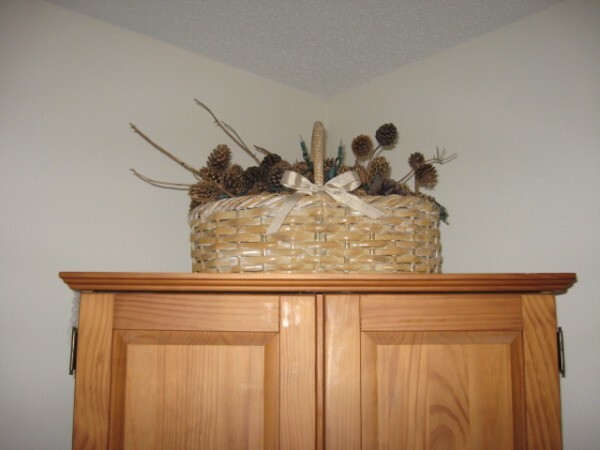 First of all you'll want to bake your natural decor for 20 minutes in the oven (or your toaster oven) to get rid of any little creatures that might have made the pine cones and the other natural decor their home. Next you may wish to spray paint some of them. I like gold a lot, but you can paint them silver, bronze, white, or whatever color you prefer. 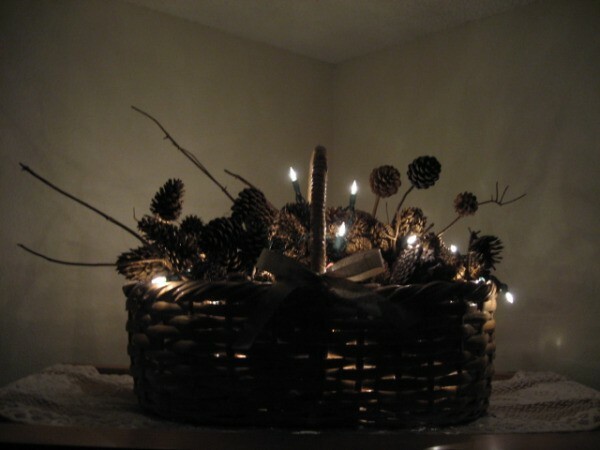 After everything is dry, then put a few in the bottom of your basket, and start putting in your lights also. Make sure the end of the strand is in the bottom, as the plug needs to be on top of the basket so you can plug it in. Then layer more of the natural decor and lights until you are finished, then add your pretty bow and that's it. Plug it in and enjoy!